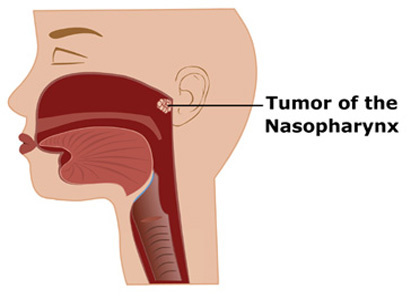 Nasopharyngeal cancer is malignant cancer that starts in the mucous membrane of nasopharynx. It is threatening people’s health and life with its enormous hazard that can not be neglected. There is quite an obvious difference of nasopharyngeal cancer incidence between different races. It happens more often to yellow race, like Chinese, Indonesian, Malaysian, Thai, Vietnamese, Filipino, than white race. Incidence of nasopharyngeal cancer among middle-aged and old people is higher than that among infants and teenagers, with a starting point of sharp rising at age 30 and reaching its peak at age between 40 and 60 and gradually going down after 65. 1. EB virus infection: study proved that EB virus infection has much to do with nasopharyngeal cancer. After infected by EB virus, human body will produce many corresponding antibodies. 2. Environment and diet: environment is one of the factors that related to nasopharyngeal cancer. Moreover, excessive intake of salted fish and preserved foods are also high risk factors of nasopharyngeal cancer. 3. Hereditary factors: ethnicity or family aggregation on a nasopharyngeal cancer patient indicates that the nasopharyngeal cancer is probably a hereditary disease. Proper diet care can evidently improve the patient’s immunity. Diet for nasopharyngeal cancer patients should involve abundant fresh vegetables, fruit, high-protein and calorie foods, and avoid smoked, roasted, fried and preserved foods. Avoid physical tiredness, such as heavy labor, staying up late and excessive exercise. During rehabilitation, patients should pay attention to their local hygiene, for example, wash mouth everyday, wash the nasopharynx cavity when necessary, and do not have tooth extraction within one year. Comfort the patients and let them know about the process of their condition, care about them and try to meet every proper requirement of them, help them maintain active attitudes towards life. Study proved that a muti-disciplinary medical group, which is composed of surgical oncology, medical oncology, department of traditional Chinese medicine, pathology department, department of radiology, anesthetist and professional nurses, can make a more effective, more suitable and more economical treatment plan so as to improve the effect of cancer treatment. Modern Cancer Hospital Guangzhou, with its multi-disciplinary “one-stop” medical system, offers comprehensive diagnosis and treatment service to patients. It not only offers patients with all-round considerate medical service, but also improves the medical efficiency and level without increasing patient’s burden. Communication channels between patients and doctors are various, which include online consultation, email, on-phone communication and face-to-face communication. All these communication channels allow patients to enjoy the service of consultation and help them fight against cancers. Medical groups that services patients include doctors, nurses, dietitians and interpreters, by whom all levels of needs of patients from different countries can be met. Under this smooth communication environment, patients can peacefully cooperate with the treatment. 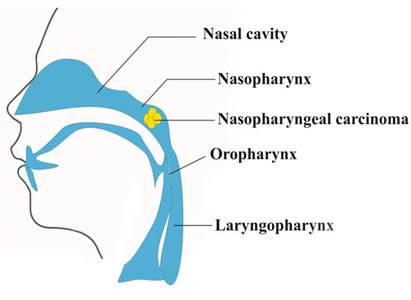 Nasopharynx is quite a concealed part of our body. Symptoms of early nasopharyngeal cancer usually are not obvious. They often appear as stuffy nose, nose bleeding, headache and tinnitus, which are easy to be neglected. Therefore, many patients fail to have early diagnosis and are found in advanced stage when visiting the hospital. This brings great difficulty to treatment. 1. Nose bleeding: nose bleeding is one of the early symptoms of nasopharyngeal cancer. It usually appears as bleeding in a single nostril or with blood in nasal discharge. As the blood is few, it is easy to be neglected and mistaken as rhinitis or nasosinusitis. 2. Stuffy nose: stuffy nose is another early symptom of nasopharyngeal cancer. It usually appears as stuffiness in a single nostril. The stuffiness is mild when the tumor is small, but it becomes severer and appears in both nostrils as the tumor grows. 3. Tinnitus, decrease of hearing: Tinnitus, muffled hearing and decrease of hearing also are early signs of nasopharyngeal cancer. They are caused when the excrescence of the nasopharyngeal cancer blocks the eustachian orifice near the lesion. Hearing decrease also is likely a result of hearing nerve injury, which is caused by the deterioration of nasopharyngeal cancer. Tinnitus and hearing decrease are always misdiagnosed as otitis media or other diseases, and therefore, treatment is delayed. 4. Headache: about 70% nasopharyngeal cancer patients have headache, which usually appears as migraine. In the early stage, the location of headache is not fixed. It is occasional but can be the first or the only symptom that occurs. Headache caused by nasopharyngeal cancer is mainly a result from the cancer tissue’s invading to skull base, nerves and blood vessels. 5. Mass in the neck: nasopharyngeal cancer metastasis to the neck causes few masses, but they grow rapidly, with solid texture, poor activity and no compressive pain. 6. cranial nerve symptom: besides facial numbing, diplopia, blur vision, eyelid ptosis, cross eye, nasopharyngeal cancer can also cause loss of sensation in the throat, numbing in the soft palate, difficulty in swallowing, hoarse and tongue skew, etc. Experts from Modern Cancer Hospital Guangzhou remind that if any of the above symptoms occurs, one should go to regular hospital immediately for examination and diagnosis to exclude nasopharyngeal cancer. Early diagnosis and treatment are beneficial to the treatment effect. Experts from Modern Cancer Hospital Guangzhou remind that once symptoms of nasopharyngeal cancer appear, one should go to regular medical institution for examination timely. Nasopharyngoscopy is one of the most important nasopharyngeal cancer diagnosis methods. It is simple and reliable. The endoscope is inserted into the patient’s nasopharynx and throat through his nasal cavity to check whether there is abnormal lesion in the mucosa of nasopharynx and throat. X-ray examinations, among which nasopharynx lateral projection and skull base radiography are the most common ones, can reveal the coverage of the cancer and the destruction of the skull base. It is useful in determining the stage and treatment plan of nasopharyngeal cancer. Radioactive nuclide bone imaging is a harmless and sensitive diagnosis method. It is usually recognized that in bone metastasis diagnosis, the incidence of positive result by bone scan is 30% higher than that by X-ray radiography. Moreover, bone scan can detect the lesion 3-6 months earlier than X-ray do. CT examination can reveal the location of the tumor in the nasal cavity, find out whether the lumen is deformed and symmetrical and whether the pharyngeal recess has become shallow or disappeared. What is more, it can also show the invasion outside the nasopharyngeal cavity, for example, metastasis to nasal cavity, oral pharynx, parapharyngeal space, infratemporal fossa, carotid sheath, pterygopalatine fossa, maxillary sinus, ethmoid sinus, eye sockets, intracranial cavernous sinus, posterior pharynx and lymph nodes of the neck. 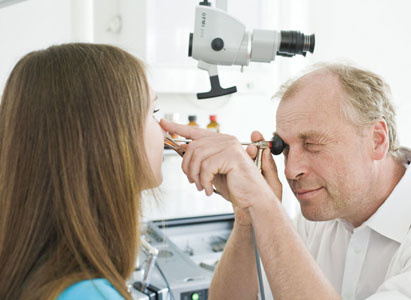 B-ultrasound examination is widely used in nasopharyngeal cancer diagnosis and treatment. It is simple, convenient and harmless. Besides checking nasopharyngeal cancer metastasis to lymph nodes of the neck, it is also used in checking liver and retroperitoneal lymph node to see whether there are metastases to these parts. MRI can clearly reveal skull layers, sulcus, gyrus, grey matter, white matter, brain ventricle, cerebrospinal fluid duct and blood vessel, etc. It can precisely reveal the tumor boundary and help determine whether there is injury in the hind brain after radiotherapy. As the EB virus antibody level of nasopharyngeal cancer patients is obviously different from that of other malignant cancer patients and healthy people, serodiagnosis can be used as an assistant method to diagnose nasopharyngeal cancer. Experts from Modern Cancer Hospital Guangzhou pointed out that treatment for nasopharyngeal cancer should not be limited to local treatment or any single treatment, but should be combined with multiple treatment methods, such as surgery, radiation therapy, chemotherapy and minimally invasive therapy, to achieve the best treatment effect. a. For patients who have well-differentiated squamous cell carcinoma, adenocarcinoma, or other radiation–insensitive cancerous tumors, with lesion situated in the posterior or anterior wall of the nasopharynx roof, and are not surgery excluded, they can consider to undergo resection of the primary lesion. b. For patients who have undertook radiation therapy but have remained or recurrent lesions limited in the posterior or anterior wall of the nasopharynx roof or neck and without damage to the skull base, resection can be used to remove the lesion. c. For patients who have remained or recurrent lesions, which are moveable and with limited coverage, they can have their lymph nodes of the neck removed. Radiation therapy is the preferred treatment method for nasopharyngeal cancer patients. It can rapidly kill the cancer cells. However, while treating the cancer, it can affect the nearby normal tissues or organs causing side-effects like fatigue, dizziness, loss of appetite, nausea, vomiting, insipidity or favor change in the mouth, sleepless or hypersomnia, etc. Although the degrees of side-effects are different, they can be eliminated through symptomatic treatment. Thus, radiation therapy can be carried on. Radiation therapy for nasopharyngeal cancer is a local treatment method. It is usually combined with several other chemicals or medicines, so that it can shrink the tumor or eliminate small lesions and improve the treatment effect. 4. Minimally invasive targeted therapy. Minimally invasive targeted therapy is a more advanced nasopharyngeal cancer treatment method in nowadays. It has the advantages of being minimally invasive, repeatable, real-time appreciable, less side-effect, highly targeted and quick recovery, etc. It has evident treatment effect and can improve the patient’s life quality.